The Stamford Valley Golf Course is a 9-hole regulation length golf course located in the beautiful, small town, Stamford, Vermont. The course officially opened Sept. 5, 1964, when Leroy Lawrence decided to switch from farming to the rapidly growing golf course business. Leroy, a former speaker of the Vermont House of Representatives, was the founder, principal designer and builder of the original nine holes. In 1979, after 15 years of hard work and dedication, Leroy decided it was time to turn the course over to his son, Stanley Lawrence Sr. Stanley Sr. is now 79 years old and he just recently, in 2005, decided to follow in his father’s footsteps and turned the operations over to his two sons, Mark and Stanley Jr. Mark and Stanley Jr. are now the current owners of the golf course. 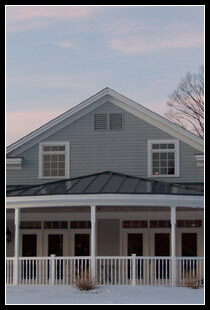 They started off their ownership strongly with the addition of the beautifully built club house/restaurant for the 2006 golf season. Stamford Valley Golf Course is a true family business, being originated by a Lawrence, then being handed down through three generations of Lawrence boys. The Lawrence family is dedicated to providing their golfers with both a quality golf and dining experience at an affordable rate. Being located in Vermont, the golf course is a seasonal business running roughly from April to September, depending on what the weather allows.